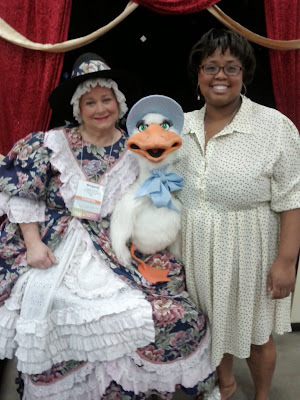 Here are some photos from the Texas Library Association Conference this week in San Antonio! Be well! 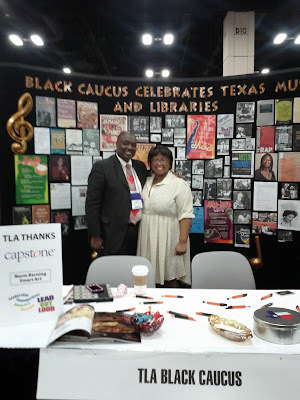 Then, as part of my winning the 2014 Scholarship for TLA's Black Caucus, I interacted volunteer to "man" our booth and meet such wonderful people, such as Mr. Roosevelt Weeks of the Houston Public Library! 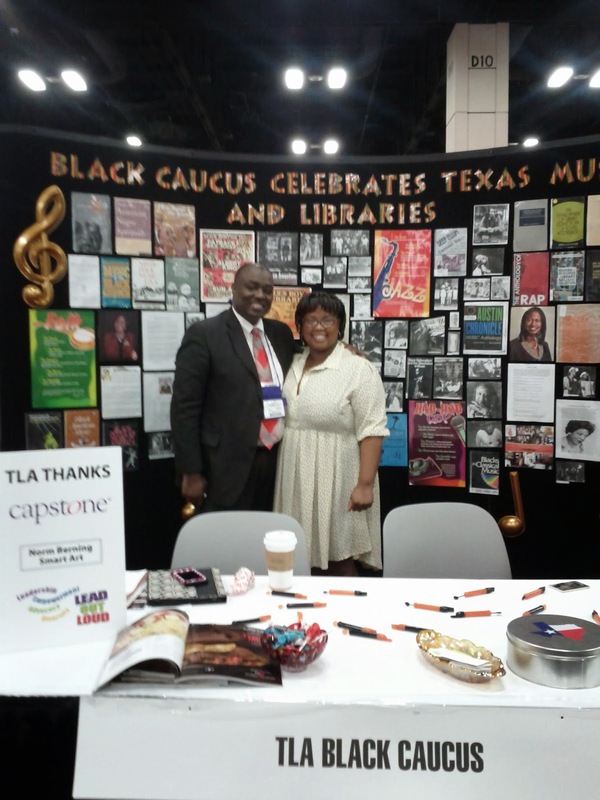 And, TLA promoting our booth! 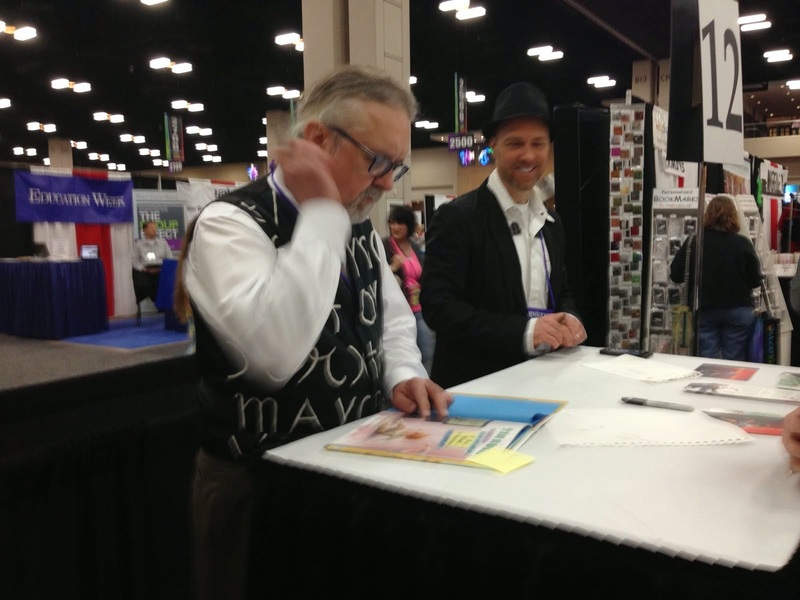 Don Tate signing his book about Duke Ellington, another one of my favorite composer/musician! 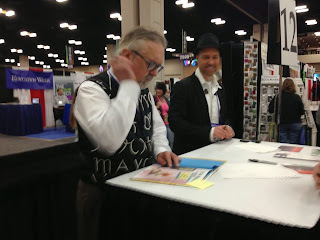 Illustrator, Michael Allen Austin, and author, John Grandits of the TEXAS BLUEBONNET AWARD-WINNING BOOK...TEN RULES You Absolutely MUST NOT BREAK if you Want to Survive THE SCHOOL BUS signing my book! 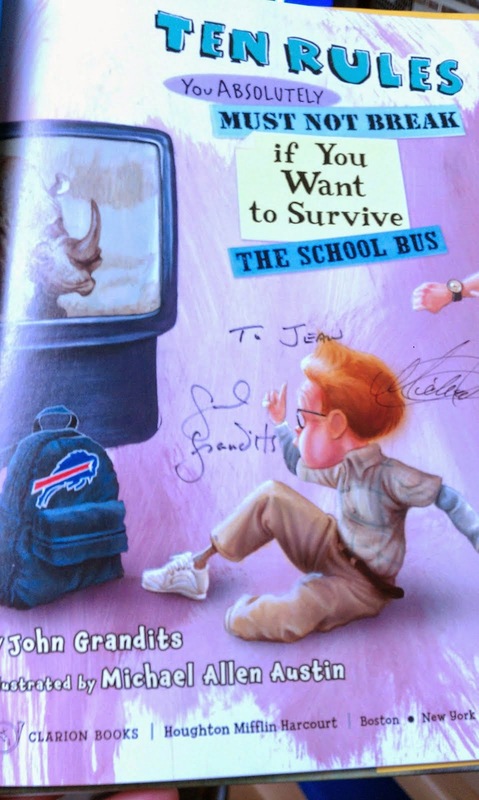 Take a look here for their lovely signatures! Also, did I mention that I met MOTHER GOOSE? And, just before I called it a night and packed my bags ready to head home, I saw fireworks outside my hotel window! SPECTACULAR!!!! BTW, tune back in for an upcoming post that details all the LOOT this Librarian Pirate brought back home! 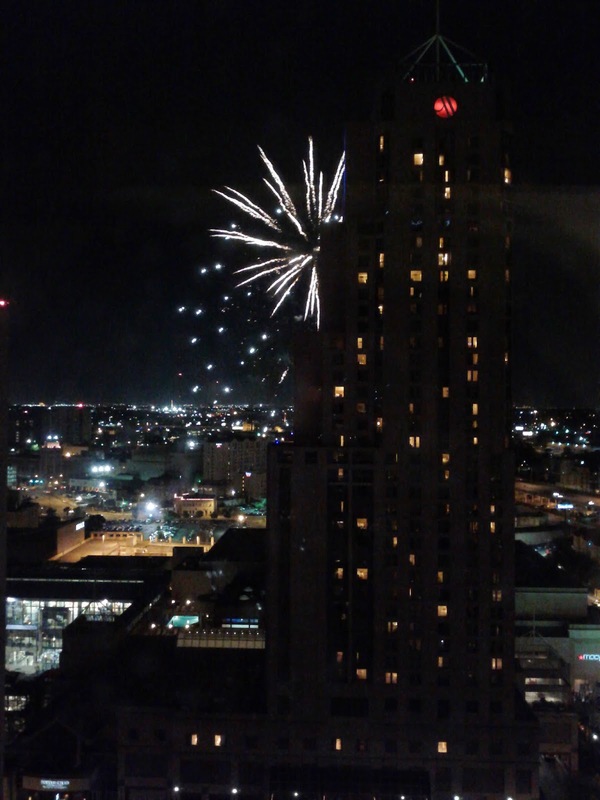 Thank you for sharing the pictures. It's nice to see what you were up to during the conference. It would be great if we could get together sometime during the summer and brainstorm.